Posted April 12, 2018 by Melissa Slive & filed under Blog, In the News. Many times in our lives, it feels as though the world has be narrowed to focus on a seemingly insurmountable obstacle standing in our way. If you’re on this site, chances are this may be how you feel about the college entrance exams. 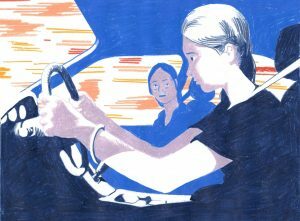 This New York Times article gives a completely relatable mother’s point of view on guiding a child through this process and how learning to let go may be the hardest part. Click here to read this article by Elisabeth Egan.